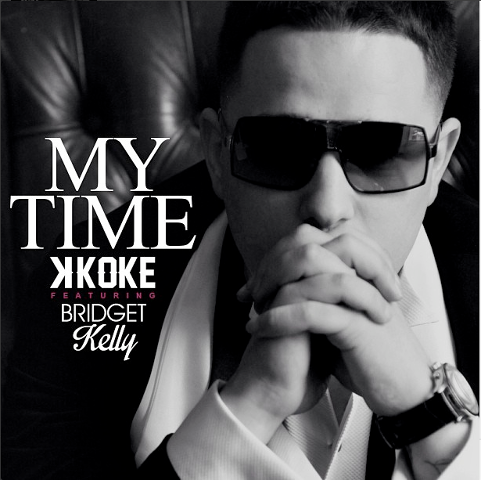 K Koke seems to be making a habit of releasing great singles, and the latest track added to his steadily growing chain is ‘My Time‘, which features fellow label mate Bridget Kelly. Positively catchy, and greatly uplifting, ‘My Time‘, is the kind of track we all need to press play on from time to time “The moon is closer to my reach than it has ever been. My time is coming, my time is coming” − Love it! This entry was posted in K Koke, New Releases, Videos and tagged Bridget Kelly, I Ain't Perfect, K Koke, Lost In The Sound, My Time, Roc Nation. Bookmark the permalink.